A Peterborough man has been charged with seven counts of theft from a shop following an arrest by the police Impact Team this afternoon (Monday, April 8). John Thompson (35) of no fixed address was brought into custody at 12.20pm after being arrested at Brotherhood Shopping Park in Lincoln Road. 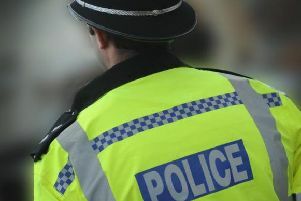 He has since been charged with six thefts relating to TK Maxx and one charge of engine oil theft from Woodgrange Service Station in Werrington.